If there’s anything that is an absolute about the holiday season, it is this: there’s a mountain of yummy treats every way that I turn. A friend and I were discussing this plight a week ago, and we both agreed that our favorite time to enjoy the flavors of the season is this one! My husband likes the holiday season because he says that I make desserts during the month of December that he doesn’t get any other month of the year. He’s completely right, poor thing. 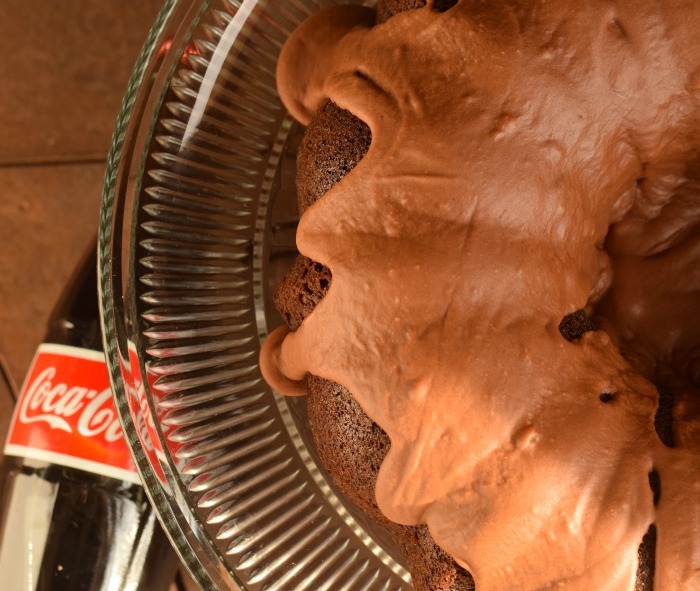 One of his favorite desserts is this Dark Chocolate Coca-Cola Bundt Cake. 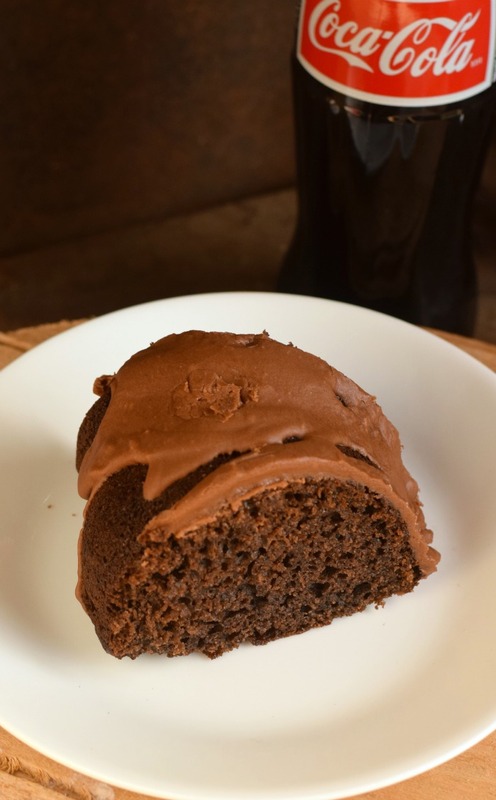 It’s a combination of moist cake and dark chocolate fudgy icing that makes him wish Christmas came more than once a year. This cake makes an excellent dessert for potlucks, parties, or for gifting. 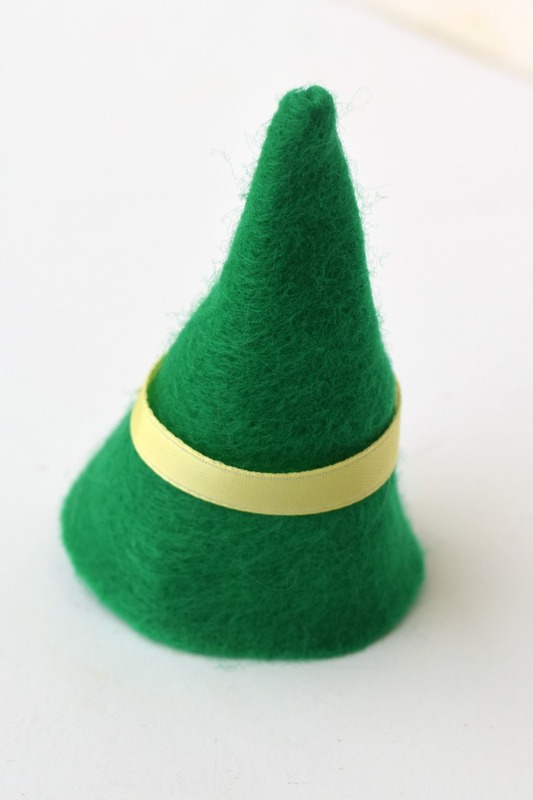 Pair it with my cute little Elf Coke Craft, and holiday treats are done! Preheat the oven to 350 degrees. 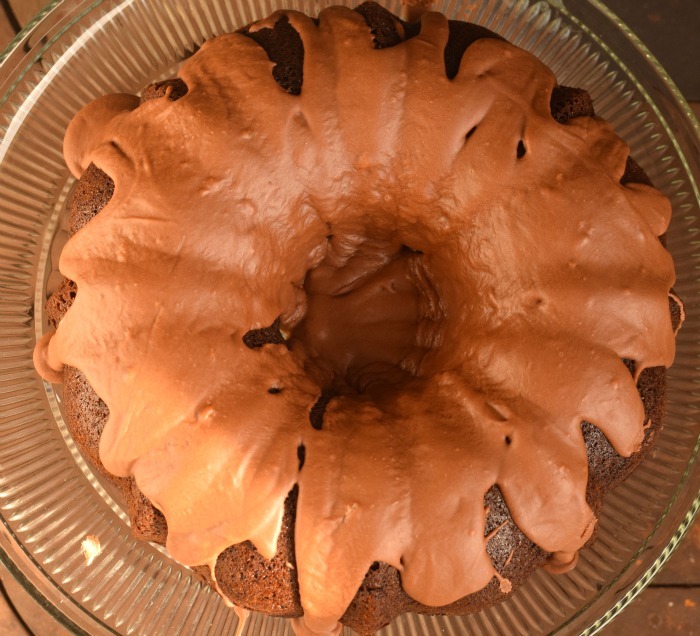 Use cooking spray to coat the inside of a bundt pan. 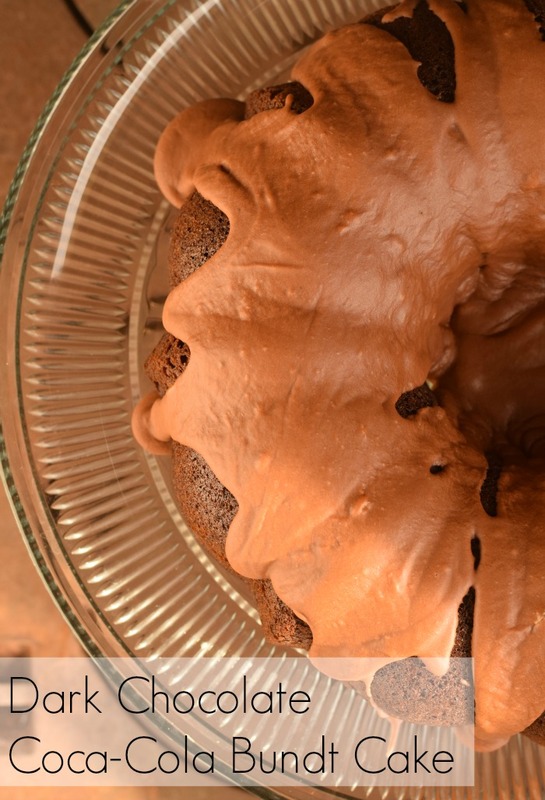 In a large bowl, combine the Dark Chocolate Cocoa, baking powder, baking soda, salt, flour, and sugar. 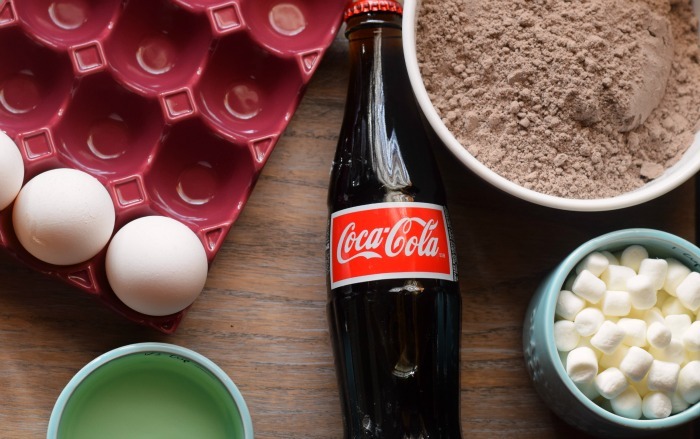 Transfer these ingredients to a mixer and add the eggs, oil, and Coca-Cola. Mix well. Fold in the marshmallows. Pour in the bundt pan and bake for 45-50 minutes. During the last 10 minutes of the cake baking, go ahead and start on the Dark Chocolate frosting. Microwave the butter in a microwave safe bowl until melted. 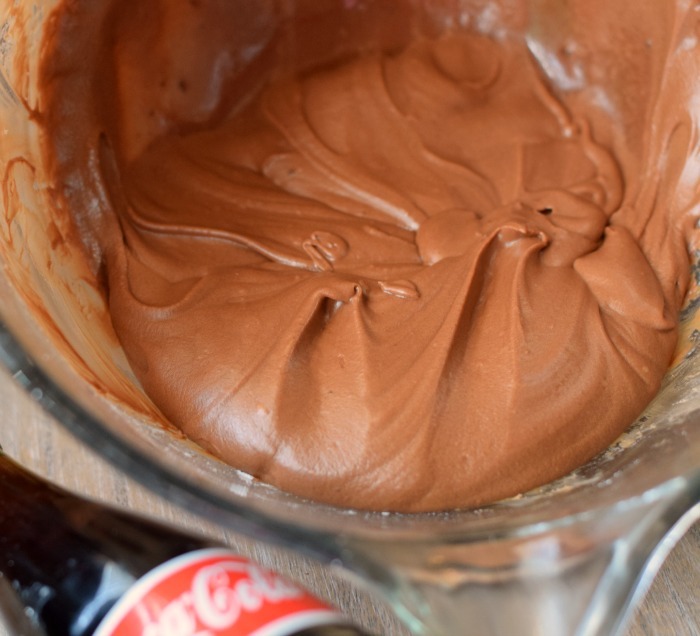 Remove from the microwave immediately and stir in the dark chocolate chips and the Coca-Cola. The dark chocolate chips will begin to melt. Stir until they are totally melted. One cup at a time, use a hand or stand mixer to add the powdered sugar until a fudgy icing is formed. After the cake is finished baking, remove it from the oven and let it cool on a wire rack. Once it has cooled completely, pour the icing over the cake. This cake lasts approximately 7.23 hours in my house, and only about 7.23 minutes at a party! There’s not much more delicious that this cake, and there’s not much cuter at Christmas than elves! 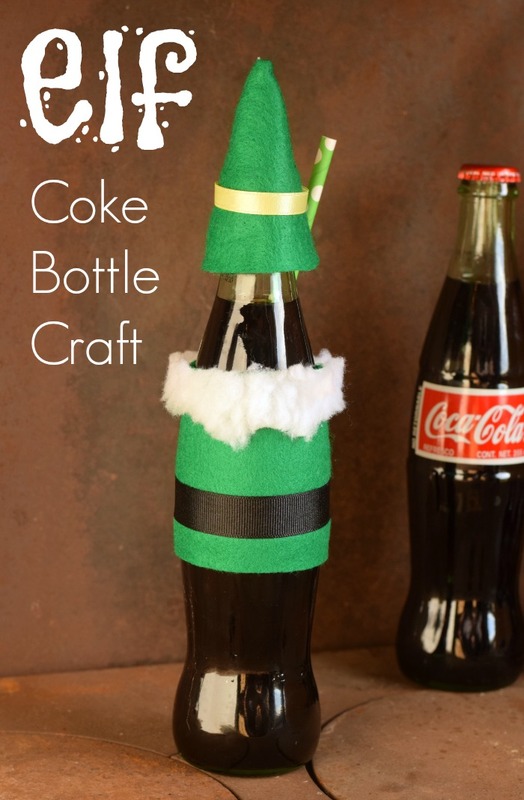 If you like crafting at Christmas, then you’ll like picking up a pack of 24 pack of 355ml glass bottles of Coke de Mexico Coca-Cola from Sam’s Club and turning them into these elves! I made mine to look like a, uhm, very particular elf (can you guess who it is?). There’s a specific scene in a specific movie where a specific elf is guzzling Coca-Cola, leading me to believe that elves everywhere would appreciate today’s craft! Wrap the rectangle felt piece around the glass bottle. Use glue to secure. Wrap the black ribbon and white faux fur piece around the felt and glue. 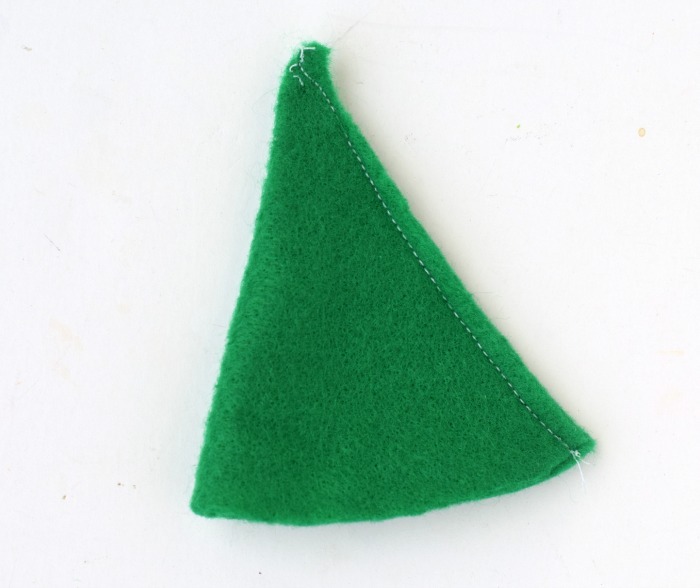 To make the hat, fold the triangle piece in half. 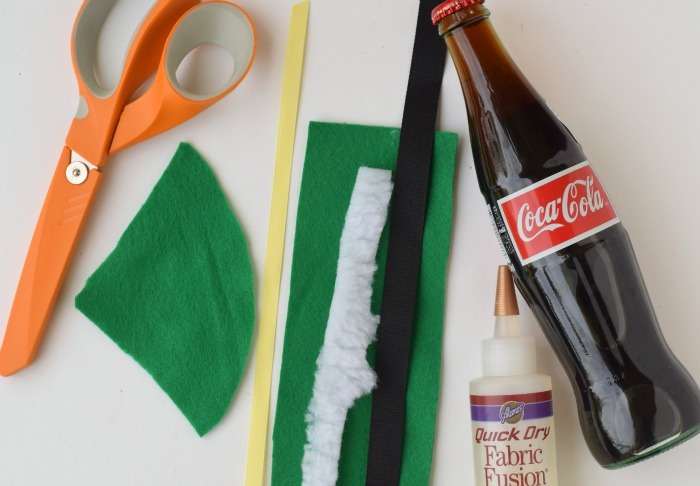 Use the fabric glue to secure or sew a seam. Turn the piece inside out. Glue the yellow ribbon around the hat. Top the glass bottle with the hat, and you’re done! 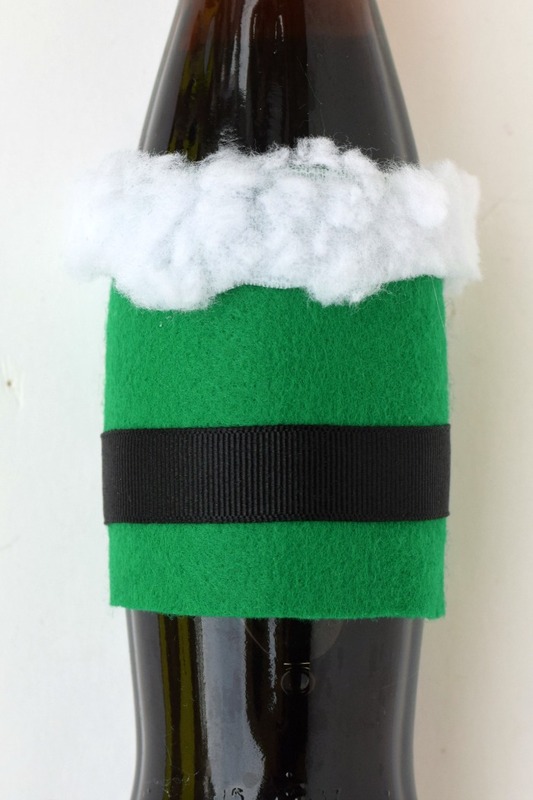 You can decorate the entire 24 pack in similar elf costumes or change up the felt for a different look. My family and I like to spread holiday joy during the holiday season. Cooking and crafting are two ways that we can easily give small tokens of our appreciation to those around us. 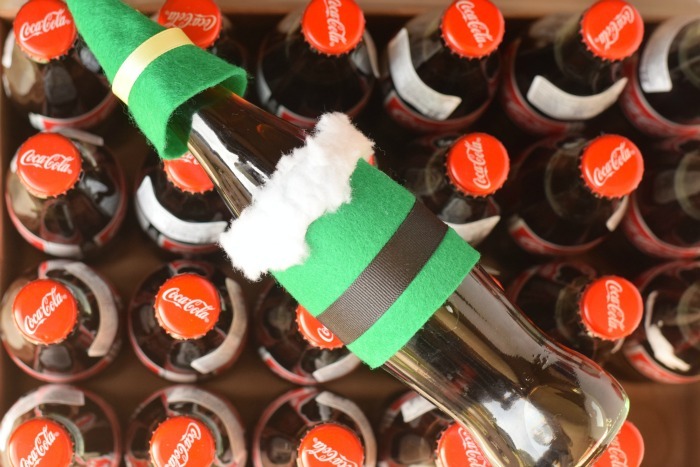 Each year we create a different cute craft project, and these Coca-Cola bottles are our project for this year. 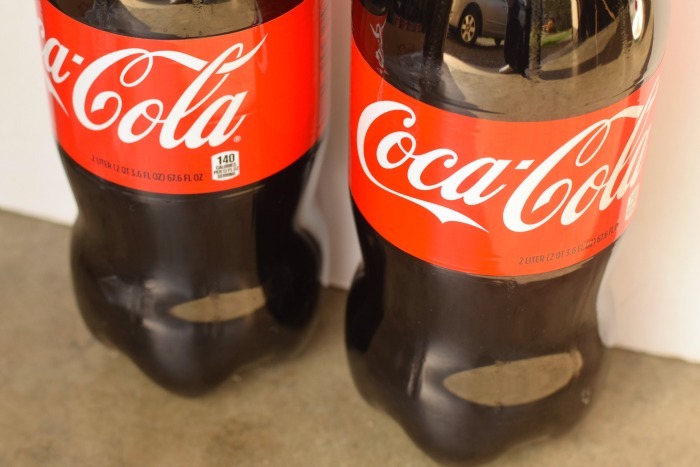 Available in a pack of 24, these glass bottles of Coca-Cola from Sam’s Club are made with real sugar and no high fructose corn syrup. Using them for crafting makes it inexpensive and easy to give treats to teachers, co-workers, friends, and family. 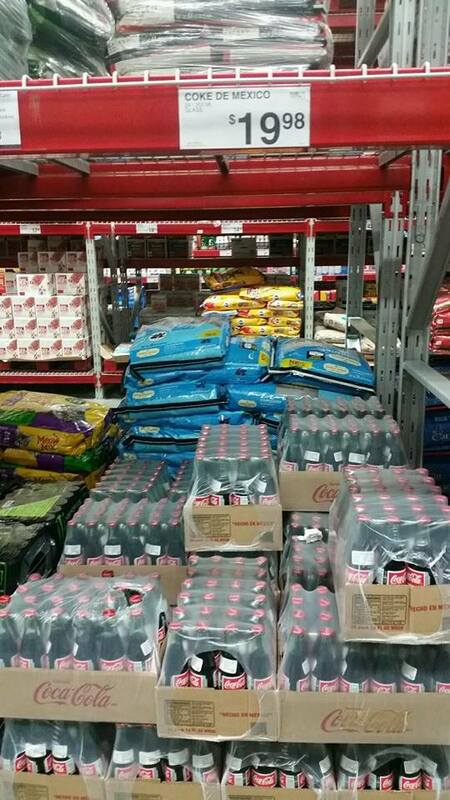 The 24 pack can be found in Sam’s Club where you can also find a special price of $3.98 on the 4-pack, 2-liter Coke and Diet Coke beverages. Great idea with the elf costumes. 🙂 That cake looks divine! This cake looks so perfect! I love bundt cakes!